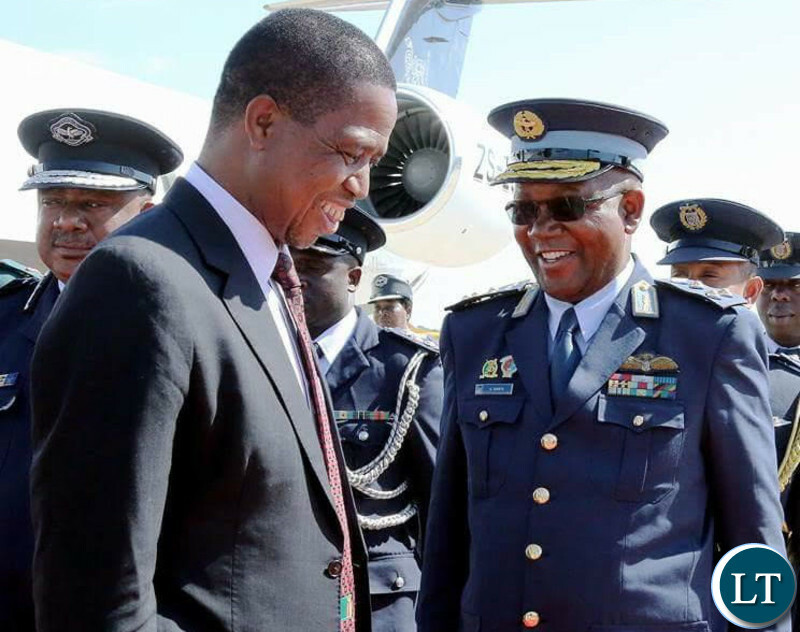 Indian Armed Forces are today set to mount a send off parade for Zambia Air Force -ZAF- Deputy Commander Major General Kapotwe Chintu who died after an illness last week on January 11, 2018 in Gurugram City, in the Indian State of Haryana. He deserves it. He run the race! Please do a little bit of reporting. So did he go to India for treatment? How soon after he was sworn it did he fall sick? Or was he sick already? He is survived by whom? And how old was he. Is he the one who talked with a chicken in his bedroom? what was the discussion all about? Half baked reporting …how did he die and what was he doing in India? You keep appointing officers and dropping them without reason…this is what happens when you have a crook for a commander in chief. As this is waste of tax payers money. Putting extra pressure on a sickly person. waste of tax payers money, why does he appointing frail people? waste of tax payers money, why does he keep appointing frail people?